Local Dentist | Lake Jackson, TX | Corby W. Gotcher, D.D.S. Comprehensive dentistry is based on the idea that serious dental issues can be prevented through regular checkups and biannual cleanings. Dr. Gotcher’s approach to oral health is a proactive one: through early detection, he is able to diagnose and tackle dental concerns with a conservative treatment plan. Whatever your dental woe, Dr. Gotcher has the solution to ensure you love your smile again. You will be amazed at how life-changing restorative dentistry can be. Restorative dentistry treatments, such as dental implants, cosmetic dentistry, and orthodontic services, are perfect solutions for anyone who is unhappy with their smile. Dr. Gotcher’s restorative dentistry can help you whether you are missing teeth, have discolored teeth, or have misaligned teeth that need straightening. Whenever your smile does need a little extra care, Dr. Gotcher offers many complex restorative treatments—including natural-looking restorations, orthodontic services, cosmetic dentistry, and dental implants—that will have you eating your favorite foods and smiling with confidence again in no time. 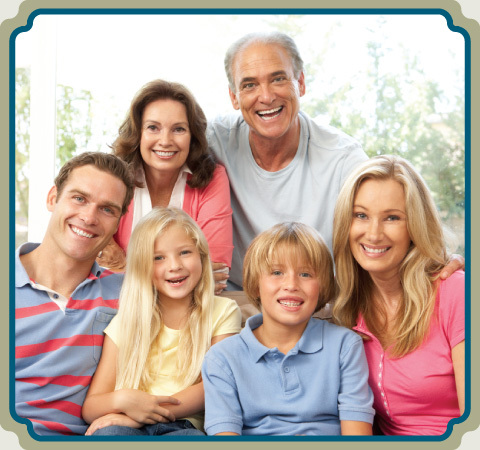 There’s something for everyone’s smile at our Lake Jackson dental office! During your cleaning, our hygienist will gently remove plaque and tartar (hardened plaque) from the surface of your teeth. She will also polish your teeth, floss to test the condition of your gums, and measure your gum pockets if she notices any recession or inflammation. Dr. Gotcher will then perform a thorough examination of your teeth, gums, and existing dental restorations. He will also review any X-rays that were taken at the beginning of your visit. If he notices any areas of concern, he may take photos with an intraoral camera to get a better look. After his exam, Dr. Gotcher will share all of his findings and work with you to determine a plan of action for any issues that have been diagnosed. In addition to emitting up to 90% less radiation than conventional X-rays, digital X-rays are also faster and more comfortable. They require no chemical processing, so they're available on our computer screen within seconds. Studies have shown that digital X-rays are even safe during pregnancy! We use our intraoral cameras to show you what we see during your exam, giving you a "guided tour" of your diagnosis and treatment options. Photos taken with our intraoral cameras are an invaluable diagnostic tool to our team because they give us an up-close view of hard-to-see areas. Dental sealants fill in the grooves on the chewing surfaces of the back teeth, an area where food particles commonly get caught and cause cavities. Dr. Gotcher can apply sealants quickly with minimal preparation, effectively protecting teeth for years. Fluoride protects teeth from decay and can even help reverse the early stages of decay. Most toothpastes on the market include a safe and effective amount of fluoride, but we also provide a more concentrated fluoride rinse after each professional cleaning to really fight off decay. You have many options for replacing your missing teeth, but most patients agree that dental implants look, feel, and function the most like natural, healthy teeth. Dental implants are small titanium posts that are surgically implanted in the jawbone, where they then fuse with the bone tissue to form a strong, sturdy base for a crown, bridge, or denture. Implants are also helpful in preventing the bone loss that sometimes occurs after tooth loss, which preserves the shape of your jaw and face. Healthy dental implants can last for many years. Dr. Gotcher has completed both the surgical and the restoration phases of implant dentistry, so he can perform the entire implant procedure right here in our Lake Jackson dental office. If you're tired of planning your daily activities around missing teeth or loose, uncomfortable dentures, ask us about dental implants at your next appointment! When a tooth is cracked, broken, or severely decayed, the pulp inside of the tooth can become infected. If the pulp is not removed with a root canal, it can cause an abscess or even spread the infection to surrounding teeth. Root canal therapy is a highly-successful restorative procedure that can save a damaged tooth from extraction and protect it for many years. Although root canals have a reputation for being painful, the toothaches are probably causing you more pain than the treatment will! In fact, most patients are back to their normal routine the very next day. If anxiety and fear is the reason you don’t want to go to the dentist, then you should consider sedation dentistry. Sedation dentistry is the practice of using moderate medications to relax and calm patients for their dental visits. Sometimes referred to as “sleep dentistry,” sedation dentistry is actually so gentle that patients do remain awake during procedures but in a much more relaxed and calmer state of mind. One type of sedation dentistry is called oral conscious sedation. It involves taking a carefully prescribed pill right before your dental appointment. This effective type of sedation will significantly calm your nerves for your dental visit. We also can provide nitrous oxide, also known as laughing gas, which is a safe anti-anxiety sedation. You breathe in the nitrous oxide (which is combined with oxygen) through a mask that will make you feel immediately relaxed. The effects are very mild and short-lived, so it’s a great option for kids and adults with a milder level of anxiety. Many people suffer from dental anxiety, but that doesn’t mean you have to undergo stress to visit your dentist. Our sedation options provide a perfect option for those with dental anxiety, allowing you to feel comfortable and at ease during your appointment. We also offer nitrous oxide (laughing gas), one of the safest anti-anxiety agents used in dentistry. Its effects are very mild and short-lived, so it’s a great option for kids and adults with a milder level of anxiety. According to the National Institutes of Health, 8-10% of American adults currently have some degree of gum disease. The first stage, known as gingivitis, is characterized by red, swollen gums that bleed every time you floss. If it’s caught early enough, gingivitis is completely reversible with in-office treatments and proper home care. Left undiagnosed, it can progress to more serious periodontal disease, which can result in tooth loss, infections, and an increased risk of heart attack and stroke. In the past, the tried-and-true treatment for gum disease was surgery. Dr. Gotcher can treat many cases with less-invasive techniques, including medicated rinses and local antibiotics, if he’s able to diagnose them early enough. That’s why it’s important to keep up with your biannual cleanings and exams! The earlier we diagnose potential problems, the sooner we’ll have you back on the road to good oral health.